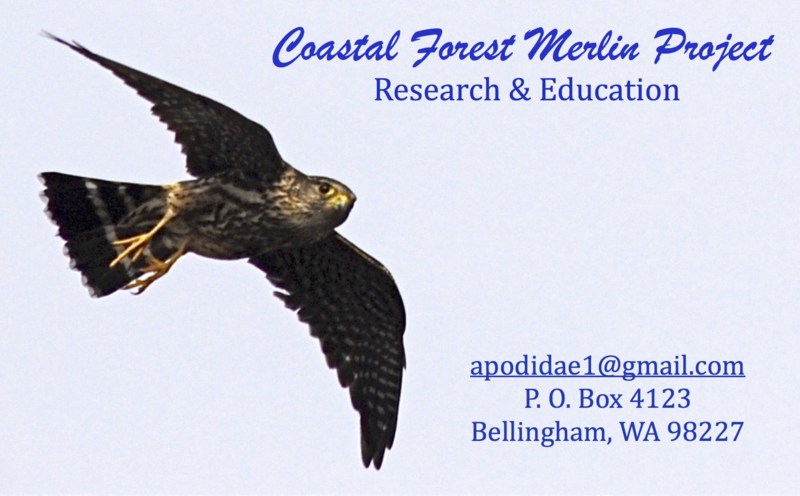 The Coastal Forest Merlin Project was begun in 1983 to provide insights about the Merlin of the Northwest, a falcon heretofore, unstudied in-depth, as to it’s survival needs. Together with many citizens, scientists, agencies, businesses and private organizations, we have investigated the Merlin’s breeding habitat, prey usage and behavioral ecology. We are analyzing these data and writing technical reports to be shared on this website.